Join genKC for your next opportunity to network and learn from key Kansas City leaders. genKC was founded 10 years ago with the belief that Kansas City young professionals deserved a space to live, work and thrive. We’ve curated our best talent from the last decade to give you the pieces of advice they wish they had known earlier in their careers. 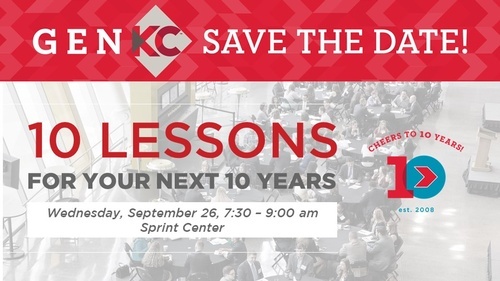 Leaders from our founding companies and former genKC board members will facilitate roundtable discussions, offering insights and skills they’ve learned on their journey. They’ll bring their knowledge and advice to the table, but also offer you the opportunity to ask the questions you need to plan for your future success. Space is limited to ensure engaging and collaborative roundtable discussions.